Simple question: does every person working with you or for you have a contract directly or indirectly with your firm? Part of the answer is that, in fact, they do - whether you engineered it or not, they will have some relationship with you, with terms picked up from statute or by implication. But that’s not the point. Around seven million people in the UK work for themselves or work in their own personal service companies. And many get their work thorugh intermediaries or agencies. And few firms bother with contracts for those who are self-employed or employees of their own firm. Lack of contract with the self employed is risky for all firms. Why is set out below..
Firms engage ‘contractors’ - those self-employed or employed in their own firms - for many sensible reasons. Firstly, topping up with contractors gives flexibility. If engaged correctly, they have no employment rights and hence the arrangement can be terminated often in days. Secondly, they often provide very specialist skills that the firm does not need permanently. Hiring them only when needed manages costs. Engagement duration ranges from days to weeks and months. Use of staffing agencies is rife. Industries like IT rely heavily on itinerant workers, employed by staffing agencies and hired out to needy firms that want the flexibility to terminate the supply of labour with as little 7 days notice. In this instance, the worker is contracted to the staffing agency. The firm - the beneficiary of the labour - has a business-to-business agreement with the staffing agency and no direct relationship with the worker. There may be some pass-through of expeectations but there's often no enforceable arrangement. The firm should consider a direct relationship with such workers in areas like confidentiality and intellectual property - terms that should sustain after the worker has moved on. A contract is a legal instrument that sets out the arrangement under which labour or labour-oriented services is provided. There are maybe seven key reasons why contracts with contractors are essential - and most revolve around the undesirable outcomes that the engaging firm is exposed to when the relationship goes wrong. All firms have customers. Firms enter contracts for sale of goods and services with their customers under agreed terms and conditions. Many of those 'upstream' contracts for sale will have implications for 'downstream' contracts with employees and suppliers. There must be congruence between all contracts across the firm otherwise the firm will likely carry financial risk and that risk may not be covered by the firm's insurance policies. There is a fine line between a person being self-employed and being an employee with associated employment rights and which applies depends much on the behaviour of the worker. A contract will illustrate to HMRC and others the intention and the required behaviour of both worker and firm and should help determine which side of the line the worker falls. This protects both parties. Payment in a contractor situation is for delievry of agreed deliverables. But unlike the employee case, with its policies and procedures, those deliverables must be spelled out such that the contractor knows what’s to be done. In the event that performance is lacking, the contract can likely be terminated. In today’s business world steeped in intellectual property, ownership of work created must be defined. A software developer, for example, naturally retains intellectual property rights to the code he writes even though the engaging firms pays for the work. The engaging firm only gets a licence. This is the most prevalent mistake managers make in engaging contractors in the tech sectors. This idea of intellectual property also extends to a need for the contractor to indemnify the engaging firm for errors the contractor may make and for breach of copyright and intellectual property rights of third parties. Many contractors will re-use work and it’s critical that the engaging firm is protected. Few firms will want their business relationships to be made public or in any way exploited by passing contractors. Contracts should define what’s confidential and how such material is to be regarded - and how contracts will relate to employees and clients once the contractor has moved on. And finally, there’s a nice clause that all contractor contracts should include - stating that the only thing that the parties have agreed is written in the present contract. No history or promises or discussions apply. This removes a huge source of likely dispute. 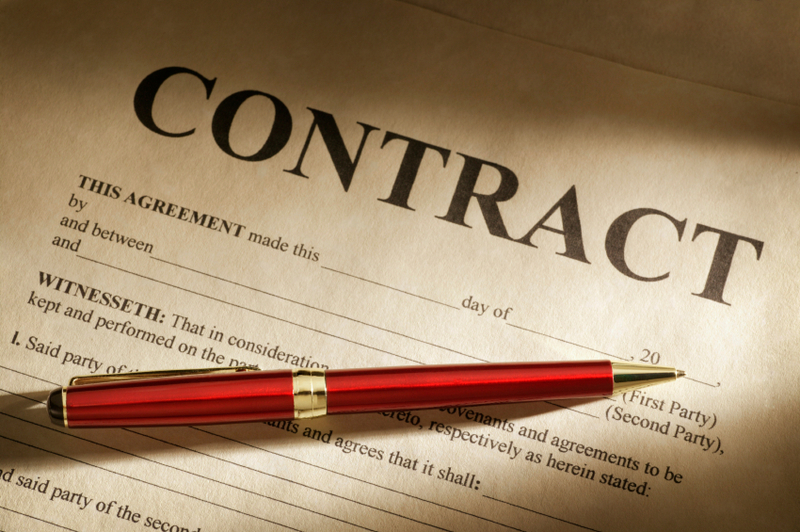 There are many other reasons - spanning every clause of a typical contract document. The rule is simple - every person associated with a firm should be under some contract or other. Employees will have employment contracts, directors their service contracts and shareholders their shareholders’ agreements. Sub-contractors will have sub-contract contracts and their employees will be linked to you through their employment contracts. And your own contractors - of whatever flavour - will be bound by a written legal instrument that describes roles, rewards, responsibilities and remedies. If you want help in drafting suitable contracts, call us.